Page 8 - Fast Graphics? No! Turbografx, Baby! 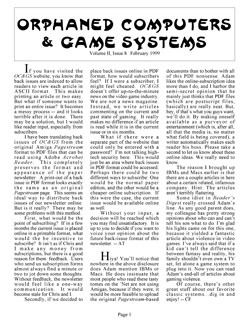 Page 12 - Violence in Video Games: Too Real?